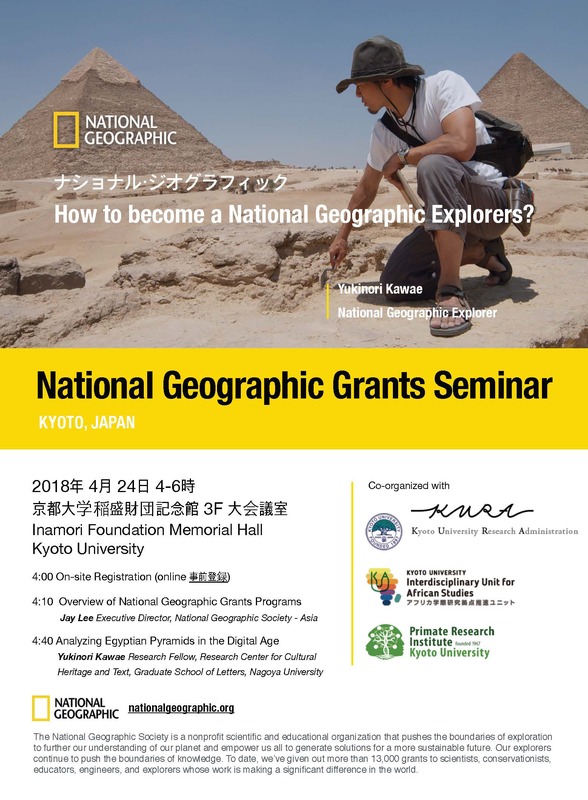 Thanks to National Geographic Society, Interdisciplinary Unit for African Studies is co-organizing the first National Geographic Grants Seminar in Japan. With the support, it’s our privilege to introduce National Geographic Society’s grants programs that has provided over 13,000 grants for the past 130 years to scientists, researchers, conservationist, educators, engineers and explorers whose work is making significant difference in the world. 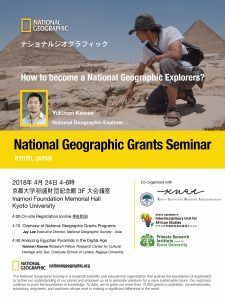 We are hoping more professionals and students are applying for our grants that are especially given with Asian citizenships or residency. Pre-registration required (Online Registration Form).